Drivers for Uber and Lyft are always looking for new ways to achieve success. Whether you’re considering becoming a rideshare driver, you’ve just started out, or you’ve been at it for quite some time, most drivers are open to tips that will enable them to become even more successful. Success as a driver depends on a multitude of factors, so even if you’ve mastered certain elements, there may be things you haven’t tried that could improve your performance. From taking classes to offering snacks to logging miles to recruiting new drivers, here are 19 tips that can help you take your career as an Uber or Lyft driver to the next level. Driving a car to make money may seem like a fairly self-explanatory job, but many people find it incredibly helpful to take a course before beginning their career with Lyft or Uber. When you start driving, it may be difficult knowing where to begin. With a course like Maximum Ridesharing Profits – created by Harry from therideshareguy.com – you’ll spend some extra money, but get a big return on your investment when you learn about when and where to find riders, surge pricing, strategies, record keeping, and much more. Believe it or not, one of the best things you can do to improve your skills as a driver is to first experience Uber or Lyft as a rider. By taking even a handful of rides you can learn a lot. Aside from simply observing what you do or don’t like about how drivers work, you can also ask drivers questions and learn more about the profession before you begin. Ask your driver what they’ve learned, what they like, specifics about driving in your city, and how much they make. Most drivers will be happy to discuss their experiences, and you’ll get information straight from the source. Insurance isn’t usually foremost in a driver’s mind when they begin, but it will matter a lot if you are in an accident. You want to make sure that you are covered if this happens. While Uber and Lyft both provide insurance coverage for while you are driving, you’ll still want to check with your insurance provider to make sure you’re fully covered. Once you’ve spoken with your own insurance provider, you may want to contact some others as well for comparison. Certain companies, like Geico, are now offering insurance specifically tailored to rideshare drivers. You know how you can make purchases on your flight by flipping through Sky Mall? Well, imagine something similar for your riders, only you take the profits home. It’s called Cargo. Cargo is a vending box and software that helps you earn more money while driving for rideshare. Think of it as a free store inside your car with products supplied by Cargo to help you increase your income. 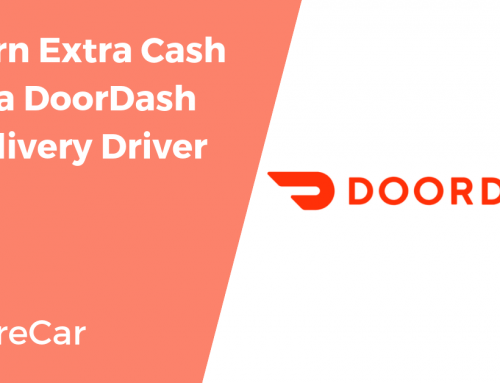 20,000 rideshare drivers have increased their earnings with a free Cargo store inside their car. 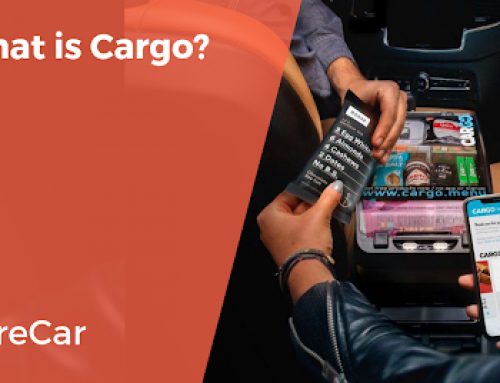 Click HERE to learn more about Cargo and how they help rideshare drivers earn more cash every week. Surge pricing (Uber), or Prime Time (Lyft), are times when the demand for rides goes up, and supply of drivers goes down, meaning that the rate charged for a ride increases. 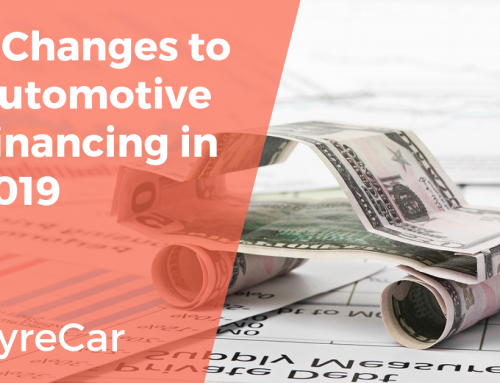 Taking advantage of these times can lead to the potential for higher earnings for drivers. You’ll see varying opinions on this. Some say that surge and prime time end up wasting your time, as the flood of responding drivers make it even harder to find riders. Some say to take advantage of it if it’s occurring in the area you are already driving. The best thing you can do is try it out a few times and see if it works for you. You may not be driving in a bigger city, in which case this wouldn’t apply. But if you are in a bigger city, staying in the city, as opposed to driving out to the suburbs, is a smarter move for drivers. There are simply more people looking for rides in the bustle of the city, and you’ll get more riders, and thus earn more, by sticking with the more crowded areas. Both Uber and Lyft offer bonuses for new drivers. The great thing about this is that the bonus is for both the new driver and the existing driver who has referred them. There are some contingencies to this, so you’ll want to read up on the specifics, but this is a great way to earn more as a driver. If you’re currently driving for Uber, Lyft, DoorDash, Instacart, or Postmates, you can get referrals out there to friends and acquaintances. If you’re considering driving for one of these companies, make sure you use a referral code when you sign up. Once you’ve got some experience as a driver, you may want to consider driving for both Uber and Lyft at the same time. Or even experiment by driving for food delivery companies like Instacart, DoorDash, Postmates, or Shipt. By making yourself available with both companies, you can increase your number of rides and thus increase earnings. Many people do this, but it does take some strategy, so be sure to read this guide on how to successfully drive for both companies before trying it yourself. To make the ride as comfortable and enjoyable for passengers as possible, offer supplementary items. Successful drivers have items like bottled water, snacks, gum, and chargers for mobile devices on hand. By offering these to riders, you can improve the likelihood of a high rating. A lot of what makes for a successful driver has to do with strategy and impressing riders, but behind the scenes, you’ve got to be a good record keeper to do well. 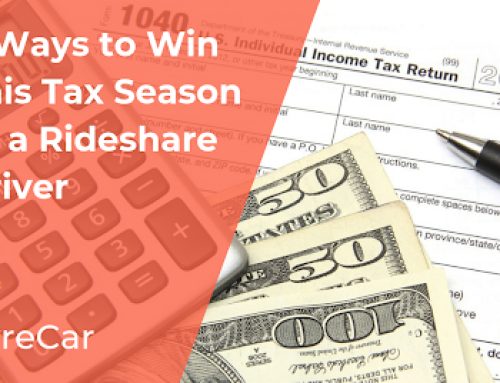 As an Uber or Lyft driver, you are self-employed, and come tax season you’ll want to be prepared. Keep receipts for things like tolls and parking, track your miles for deductions, and track your earnings so you know how much you can expect to pay in April. Thankfully, there are some great apps available to make this process smooth and easy for drivers. Check out this list of the best mileage tracking apps. A common mistake made by drivers is actually driving too much. Every bit of gas used counts against your earnings. Between rides, don’t drive aimlessly around. Instead, find a location that works well for you and park there between rides to save money. If you’ve taken a few rides with Uber or Lyft yourself, you know that the passenger app will tell you how many drivers are in your area. If you’re driving, you can check the passenger app to find out if you’re in a driver heavy area and go elsewhere if that’s the case. This simple step can ensure that you aren’t waiting for riders in the company of 10 other eager drivers. This is an important tip for employees in any industry, but is particularly important if you are responsible for the safety of other people. As a driver, it’s crucial that you be alert and energized. Not getting enough sleep makes your job harder and less safe. Consistently get 7-8 hours of sleep and you’ll feel healthier, energized, and provide better service as a driver. No one should work nonstop without taking breaks, and that includes Uber and Lyft drivers. If you’re driving during a busy time, it can be tempting to simply forego a break, but taking even a short one every once in awhile is important. Turn off the app, get out of your car, stretch your legs, and grab a snack. You’ll have more energy and be a better driver because of it. Have regular maintenance done on your vehicle. Keep a first aid kit in the car. Use a phone mount so you aren’t distracted by handling your phone. Be wise about when and where to pick up riders. Report riders who act inappropriately. In order to be successful as a driver, you need a fairly new vehicle that is in good overall condition. The nicer and newer your car is, the higher the service you can apply to drive for with Uber and Lyft. If your own vehicle isn’t up to standard, you can actually rent a car, or lease one, in order to drive. Using HyreCar, you can easily rent someone else’s unused vehicle and use it to drive with Uber or Lyft. 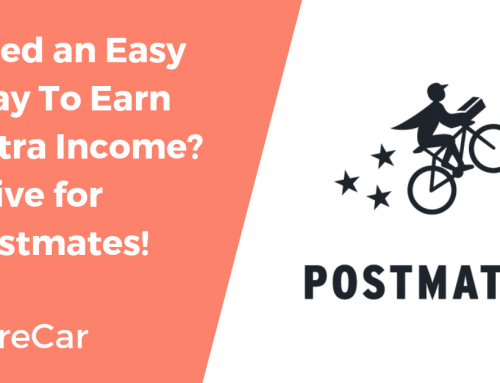 The process is painless, and you’re able to earn money without the hassle of owning a vehicle. Keep ratings high by making sure your car is always clean for riders. This means you should regularly check to make sure your riders haven’t left anything behind, including trash or dirt carried by shoes. You may want to invest in having your car detailed before you begin driving in order to start out with your car in top shape. Your passengers won’t always want to listen to music, but if they do, offering a variety of selections can be a way to give your riders a better experience and increase the likelihood of a high rating. Make sure you have the music ready to go so you aren’t distracted by doing this while driving. You can also make it possible for your passengers to listen to their own music by having an auxiliary cord on hand so that they can connect their own devices to your sound system. Last but not least, the best drivers are friendly drivers! Take the time to chat with your passengers and show them that you care about their experience. You’d be surprised at how far this goes toward good ratings and success as a driver. Follow these 19 tips and you’ll be on your way to success as a driver with Uber and Lyft in no time!